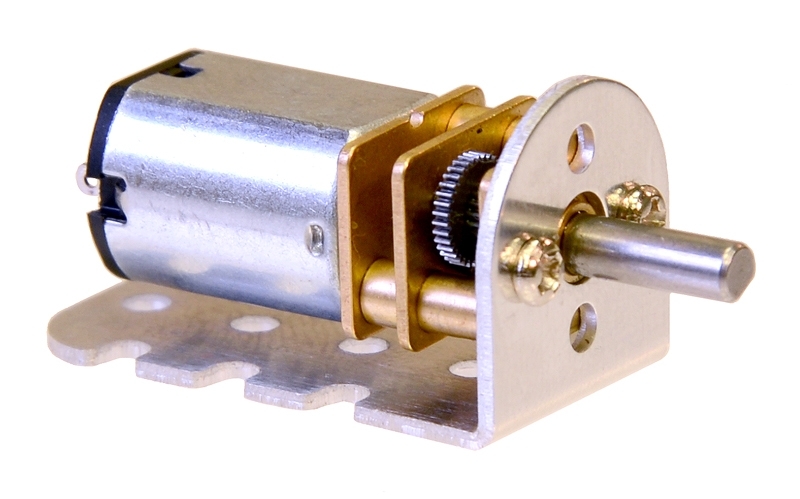 These aluminum gearmotor brackets let you securely mount Pololu’s 35:1 and 115:1 15.5D mm metal gearmotors to your project. 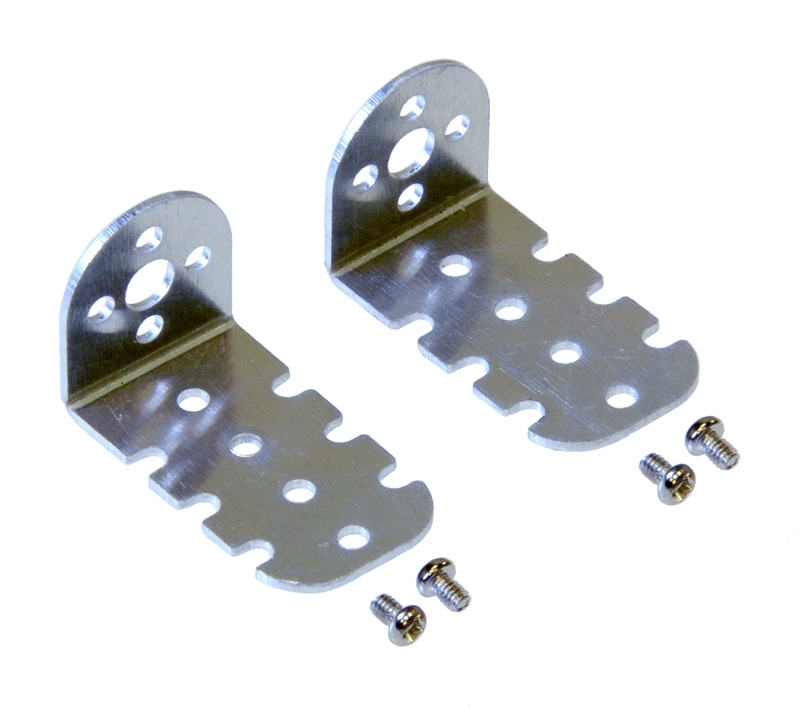 The brackets are sold in pairs, and each bracket includes two M2 screws for securing the motor to the bracket. 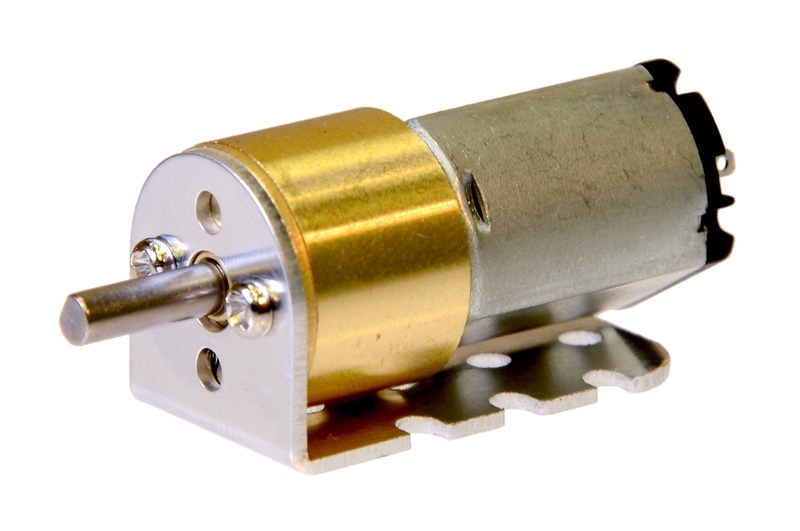 Each bracket also features four mounting holes and six mounting slots for M2 or #2-size screws (not included), giving you a variety of mounting options.